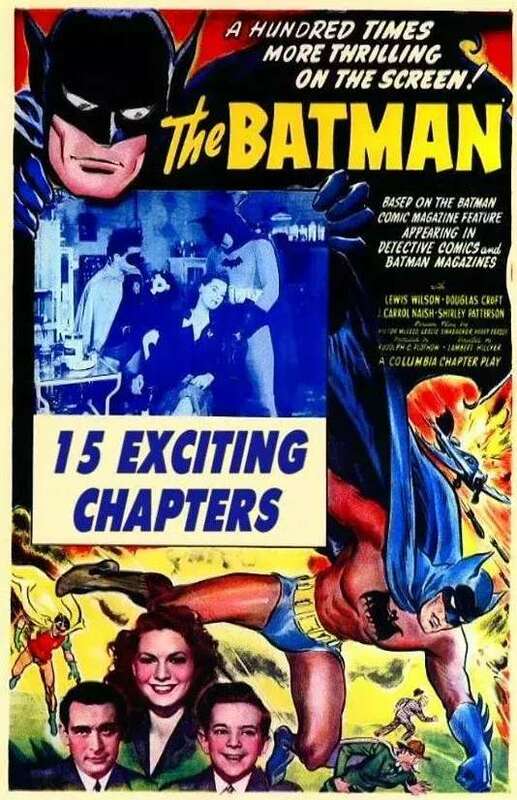 Eleven chapters in and finally, Batman and Robin fail to stop Daka and his men from succeeding in one of their plans. It’s a momentous occasion, and one that hopefully will be used as a springboard for the events of the final four chapters, because otherwise this one is yet another filler episode that keeps the serial chugging along and Wilson’s nose draped in putty. The use of Chuck White as yet another alter ego for Bruce Wayne has been moderately successful in terms of the narrative, but each time he’s been brought out it’s purely so that another hideout can be identified and then dropped as a way of Batman finding out more about Daka’s plans. While there are fifteen chapters and each have to be filled with incident, it’s reasonable to ask if the same kind of incident had to be used over and over? And thanks to the speed at which these things are cranked out, it’s not as if Wilson is rising to any great challenge either; he’s just as clumsy as Chuck as he is as Bruce (or Batman for that matter). And just once you’d hope that Daka’s men wouldn’t report back to their boss that they’ve definitely killed Batman. Just once you’d hope that they’d check first, but once again, it’s a no-no. Each time now it gets funnier and funnier, a triumph of optimism over experience that Daka lets pass every time (he’s very forgiving for a bad guy). Much better – and a serial highlight – is the attempt on Chuck’s life, where a very large truck slams into a taxi and knocks it over onto its side. 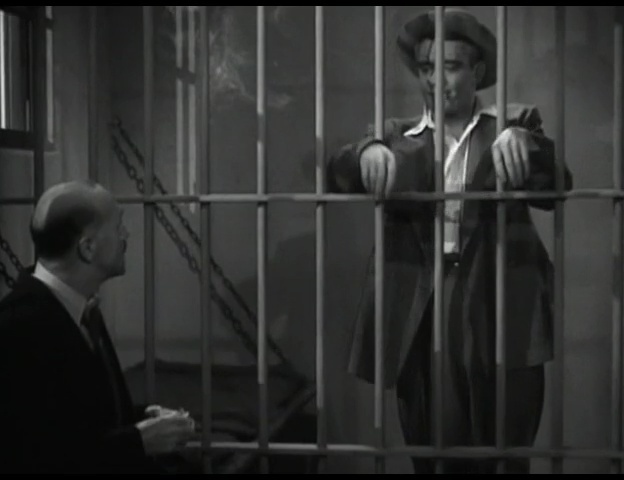 This has clearly been shot for real on a Columbia backlot, but is brutal in its effect, and if by some miracle of inter-movie time travel, Richard Thornburg was covering it, he’d be saying, “Tell me you got that.” Elsewhere, Linda is again absent from proceedings, getting a man out of jail on bail consists of paying twenty dollars for the release and five dollars for the (slightly corrupt) policeman organising it, and Batman’s real identity is revealed as Chuck White – lucky for Bruce! Chapter 11 isn’t the best or the worst of the series so far, but it’s not exactly groundbreaking – car crash aside – nor is it as entertaining as some other episodes, but when the bomb goes off, it at least has us asking, just how is Batman (and Robin) going to survive this time…? 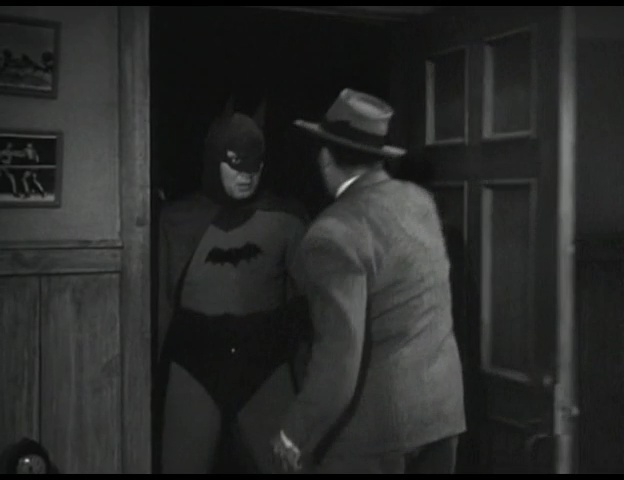 Rating: 6/10 – another stopgap episode, Chapter 11 continues the semi-moribund influence of Chapter 10, and gets by on an unexpected development (Daka’s men get the radium), and an unexpected and spectacular event (the car crash); treading water is to be expected to some degree in a fifteen chapter serial, but Batman has done this now on a number of occasions, making the viewer wonder if ten or twelve chapters might have been a better idea.